Asleep at the Wheel has seen miles and miles of Texas. They got their kicks on Route 66. And, in 2010, the band clicked another milestone on the odometer – their 40th anniversary. Now in their 45th year, the band continues to introduce the western swing genre to a new generation on tour. Since their inception, the band has won nine GRAMMY awards, released more than 20 studio albums and charted more than 20 singles on the Billboard country charts. In 1971, the band signed their first record deal after Van Morrison mentioned they “play great country music” in an interview in Rolling Stone. Their debut record, Comin’ Right At Ya, was released in 1973 on United Artists. The release of Texas Gold in 1975 brought the band national recognition, with the single “The Letter That Johnny Walker Read” becoming a top-ten country hit. The band has been awarded “Touring Band of the Year” (CMAs, 1976) and the “Lifetime Achievement in Performance” (Americana Music Awards 2009). 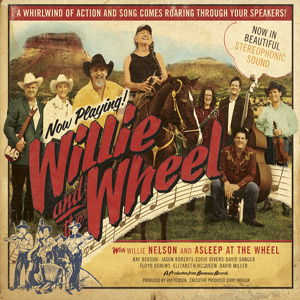 In 2010, they earned a GRAMMY nomination in the newly minted Best Americana Album category for their critically acclaimed Willie & The Wheel. Owned by Ray Benson, Bismeaux Records has won “Best Local Record Label” three years consecutively in the Austin Music Awards. Between 2005 and 2012, Ray Benson wrote, produced and starred in the Bob Wills musical A Ride With Bob. The production sold 70,000 tickets in 18 cities nationwide including the Kennedy Center in 2006. In 2007, Benson performed with Carrie Underwood & Johnny Gimble on the GRAMMY Awards Telecast in a special GRAMMY Salute to Bob Wills. 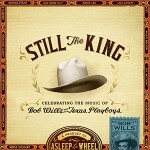 On March 2nd, 2015 the band will release their forthcoming tribute album 'Still The King: Celebrating the Music of Bob Wills and His Texas Playboys' on Proper Records.